Only 15 days left in 2018!!! 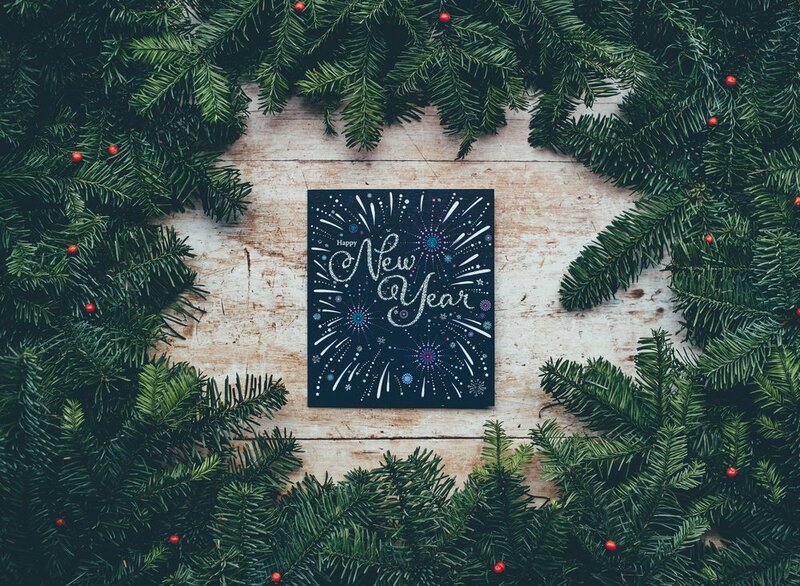 Are you ready to ring in the new year? Does this time of year get you nostalgic for the memories you have created this year? Do you feel sad about letting this moment, this year go? Or perhaps you are ready to run for the hills right into 2019 and close the book on this chapter. No matter what feelings arise around the end of the year and diving into the fresh start of a new one- have you taken time to really reflect upon the experiences of this year? Have you reflected on your learnings and celebrated them as a way to welcome the abundance that awaits you in the year ahead? Let’s do it together! Traditions are customs or beliefs that have been passed on generation after generation. The richness of tradition during this time of year connects us all to our home and families, our heritage. And while our great grandma’s biscotti recipe brings us right back to our childhood and where love surrounded family - we realize that not everyone has had an experience like that. This got us talking about creating new traditions. Having families of our own now, we talked about feeling excited and yet reluctant to establish our own family traditions. Perhaps because in creating a new tradition, we might experience guilt for changing what has been instilled in our lives growing up. Losing a tradition that was meant to be carried on from the people we love the most is not the intention. And yet, together as Emaya grows, we have spent the better part of 3 years creating new rituals together and we found there is plenty of room for new practices while cherishing the old. We’ve even begun to feel the presence of our loved ones within these new traditions which has been so special. Ritual is a solemn ceremony. There is an element of spirit in a ritual that may or may not be present in a tradition. Rituals help us to rewire our minds and connect with our hearts and is a big part of our teachings at Emaya. When we perform a ritual our brains calculate it as truth! This is because we create new neural pathways by way of the new habit created through repetition. So for this reason, we wanted to offer you a New Year Ritual practice to reflect on YOU, this year and your HER as we close out this cycle and begin a new one. When we take the time to do this, we stand in our power, connect to our HER and voices more clearly so that we can complete 2018 empowered and step into 2019 ready and awake! Make time over the next few days to reflect upon 2018. Call to mind the joy, the sorrow, the triumphs and shortcomings. No matter how hard or easy it is to do, take time to connect with the feelings you feel around these memories. Pull out your computer, open up your photos and create a year in review (on a mac you choose photos, the year and hit play or scroll through the year)! Call a close friend and reminisce about your year and shenanigans. Organize a dinner with loved ones and take turns sharing memories of the year. Ask the children in your life what their most memorable accomplishments are from this year. Take your time reflecting the year’s journey. When you feel ready to put the pen to the page, set a date and time before the end of the year (this will help you to commit to experiencing this ritual). Find a quiet place, light a candle, burn some sage and play some good tunes. Get out your favorite pen and journal/paper. Be open minded with a full heart and let the words flow as you answer these questions and free write as you wish! Who are the people that made this year so joyful? What challenges did I overcome and find resilience in? What are my top 5 accomplishments this year? What are the top 5 things I’ve learned this year? What are the top 5 things I will take with me? What are the top 5 things I will leave behind? What are my top 10 highlights of 2018? What are 5 things I’d like to accomplish in 2019? Who are my top 5 people to keep up with? What are my top 3 core values going into the new year? How is my relationship currently with myself or my HER? How will I make time for myself in the coming year? What does my spiritual practice look like? What do I want it to look like? What am I grateful for and how can I use my gratitude to inspire how I welcome a new year? When you are finished journaling tear out the passage that has the top 5 things you want to leave behind (or write them down along with anything else you would like to say goodbye to)! Find a safe place to burn your goodbyes and bow with gratitude for the learnings. Bow with gratitude for this past year and all the rich blessings you have created and enjoyed. If you like you could light some sage, turn music on and dance to celebrate the completion of the ritual! Or take a bath! Or play in anyway that feels good to you!